Ralph McQuarrie’s conceptual drawings and paintings were instrumental in bringing George Lucas’ epic space saga to the big screen, envisioning the vast worlds of fantastic heroes, villains, vehicles and aliens that would come to be known as Star Wars! 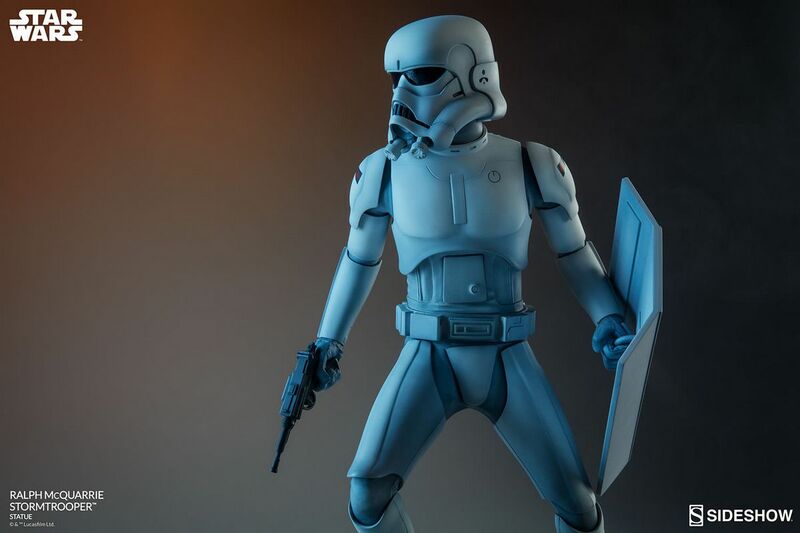 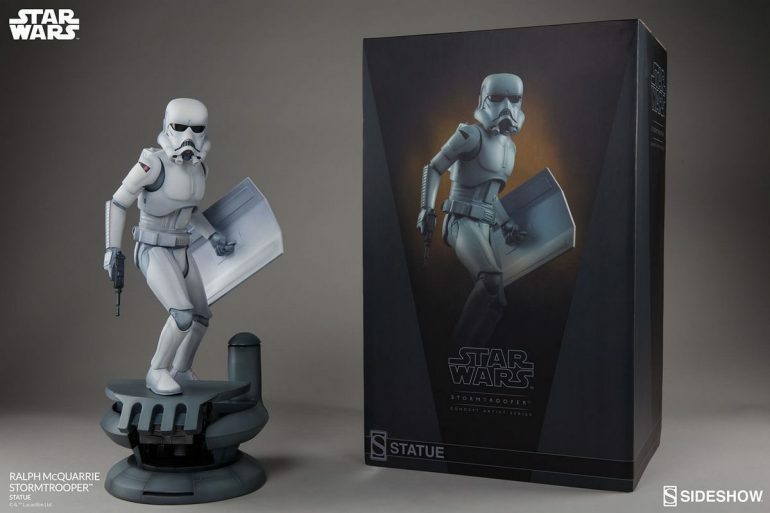 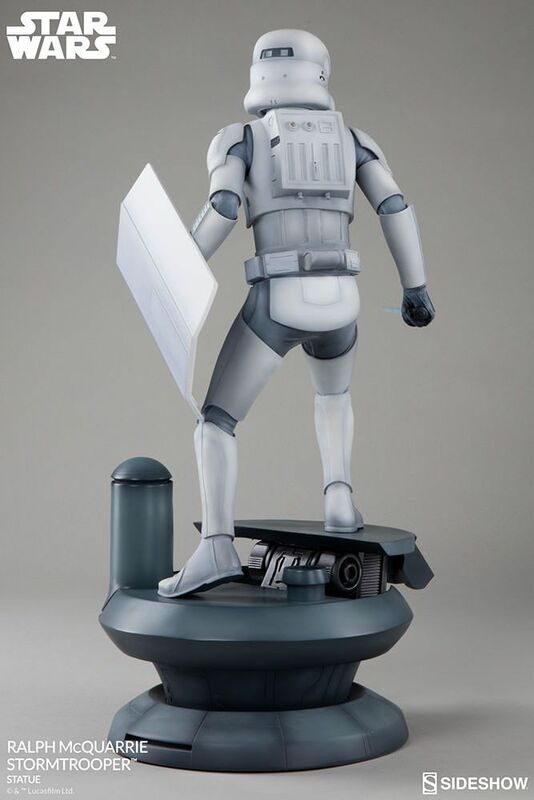 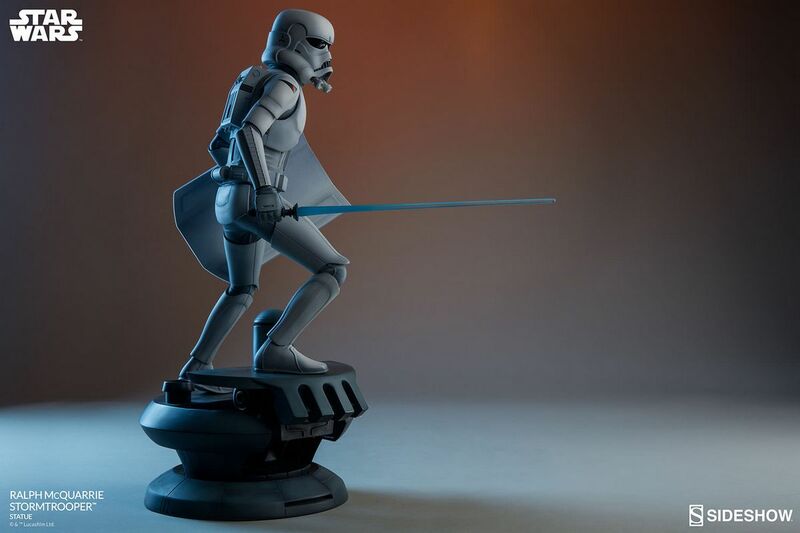 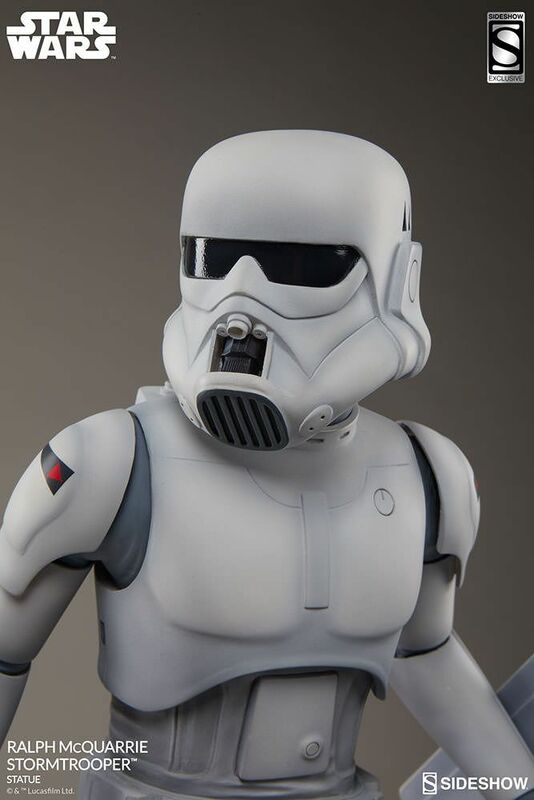 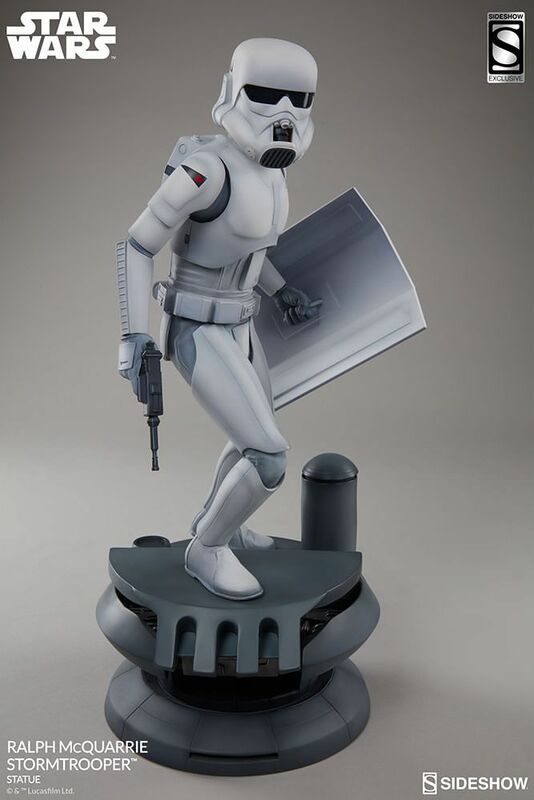 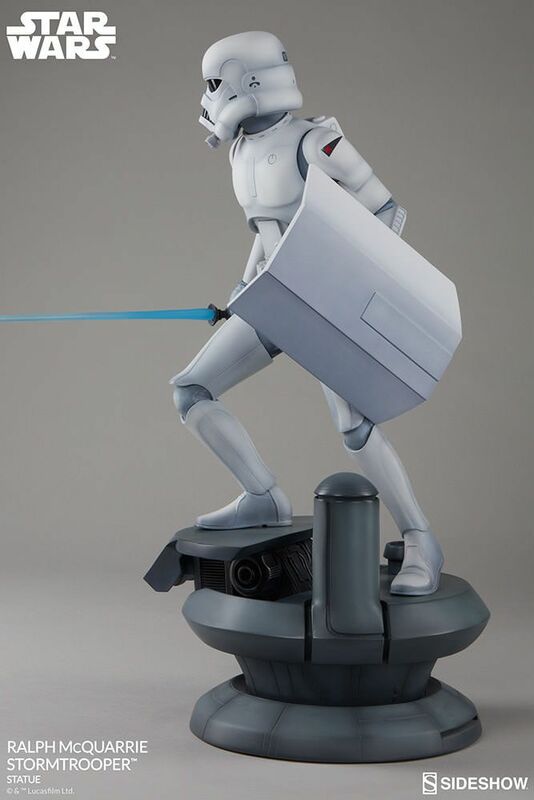 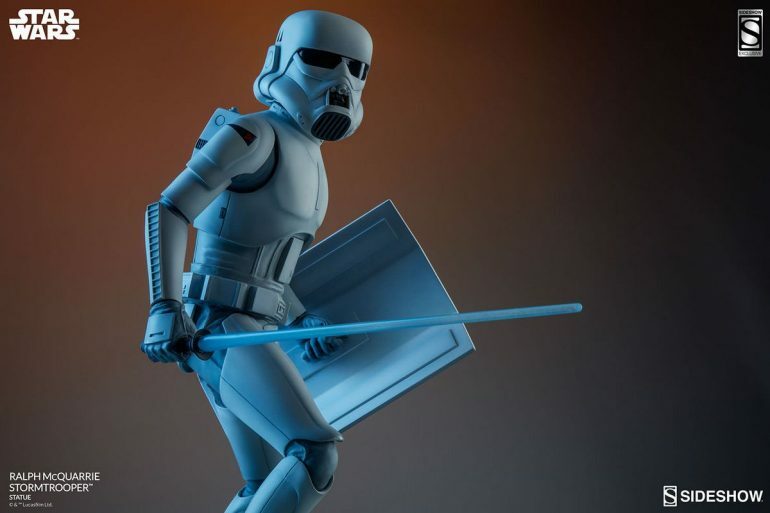 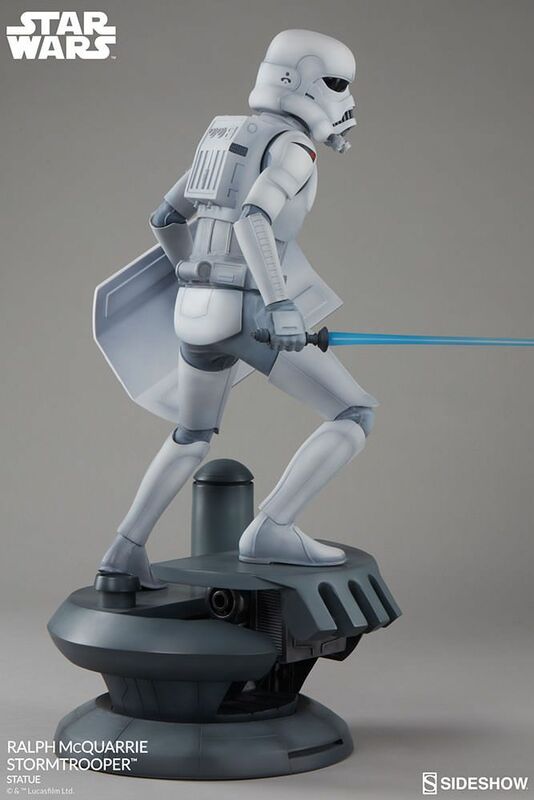 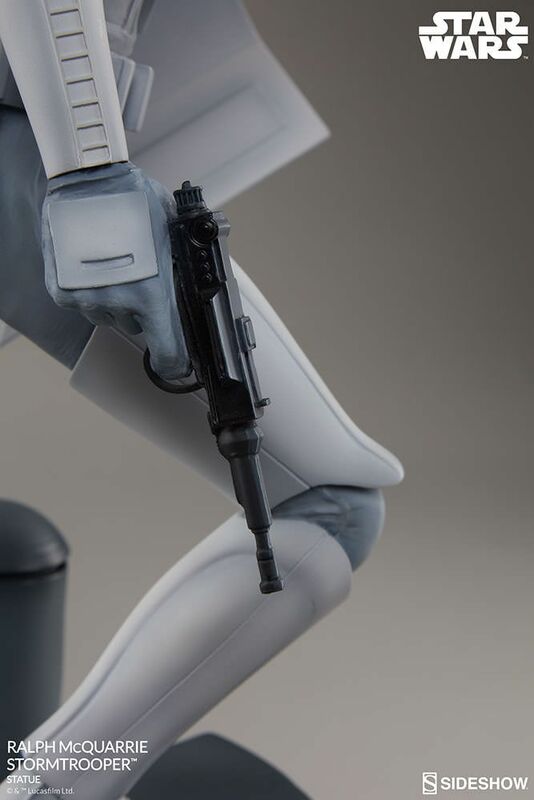 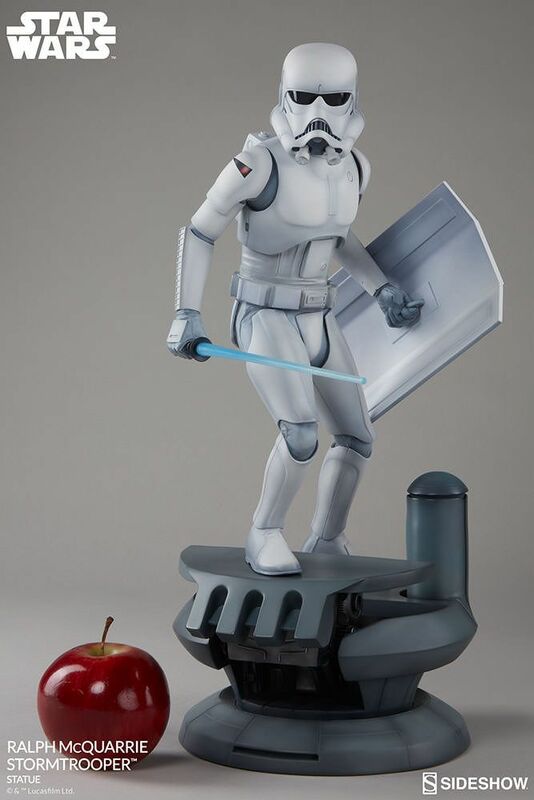 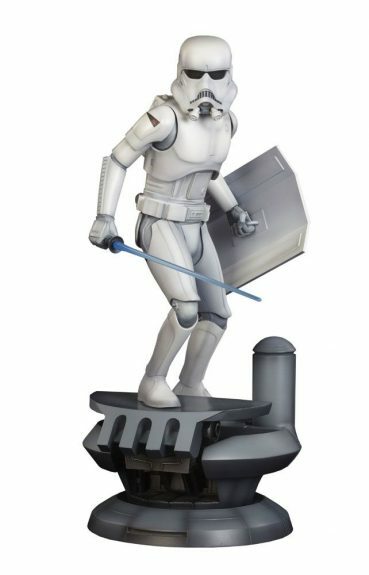 Inspired by Ralph McQuarrie’s pre-production artwork for Star Wars: A New Hope, Sideshow Collectibles is proud to present the Stormtrooper Statue. 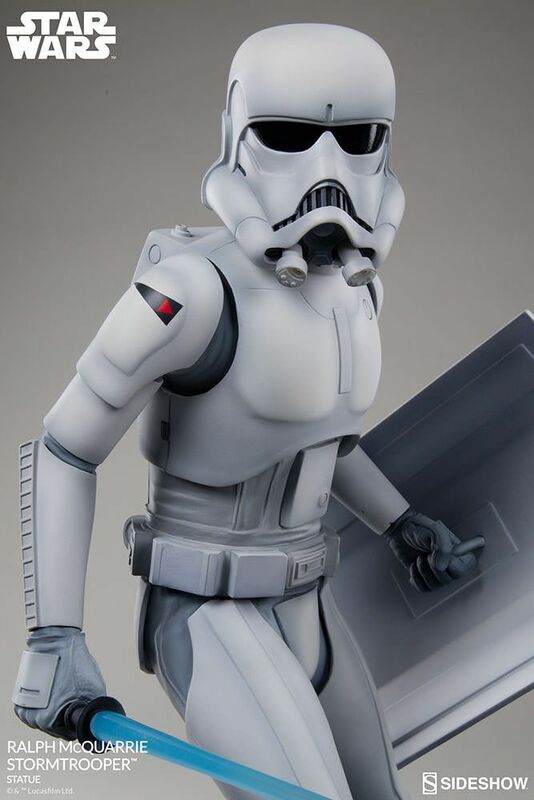 Expertly crafted in 1:5th scale, the soldier of the Empire is depicted patrolling a corridor of the Death Star. 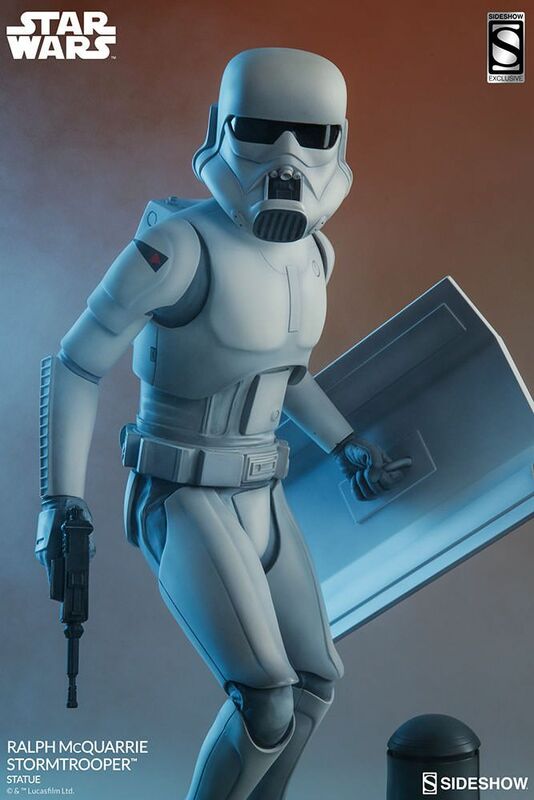 As seen in McQuarrie’s early incarnations, the Stormtrooper comes with multiple display options – carrying a shield in one hand while wielding a lightsaber or blaster in the other – and is fitted with a distinctive helmet and armor that more closely resembled fighter pilot gear than the final costumes seen on screen. 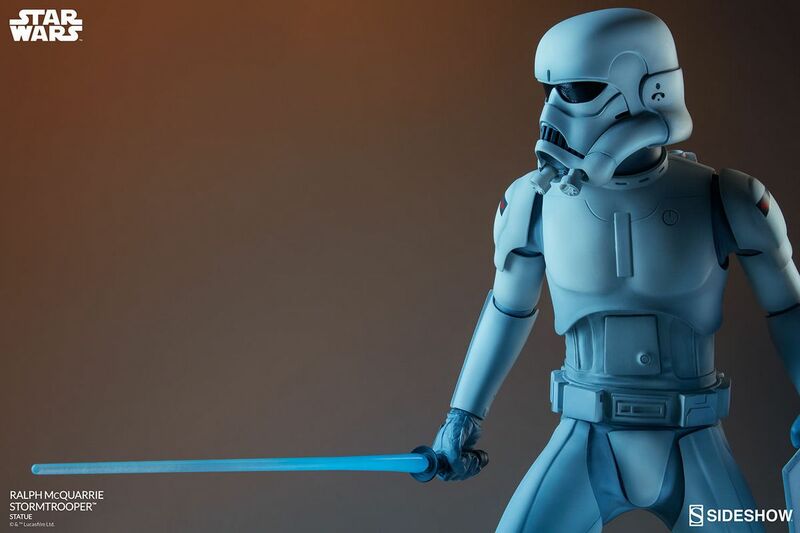 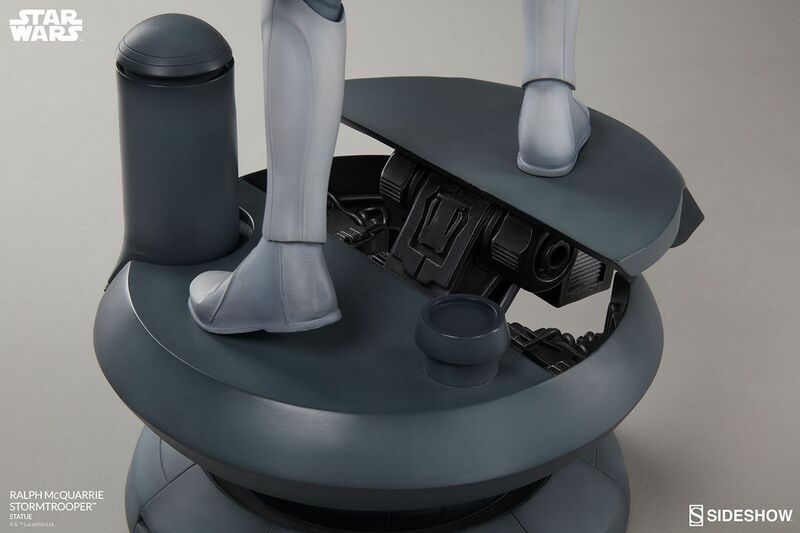 Reviewing a broad spectrum of McQuarrie’s imaginative designs for the Imperial Stormtroopers, Sideshow’s artists have translated his iconic artwork in a brilliant homage to a Star Wars that is both familiar, yet never was. 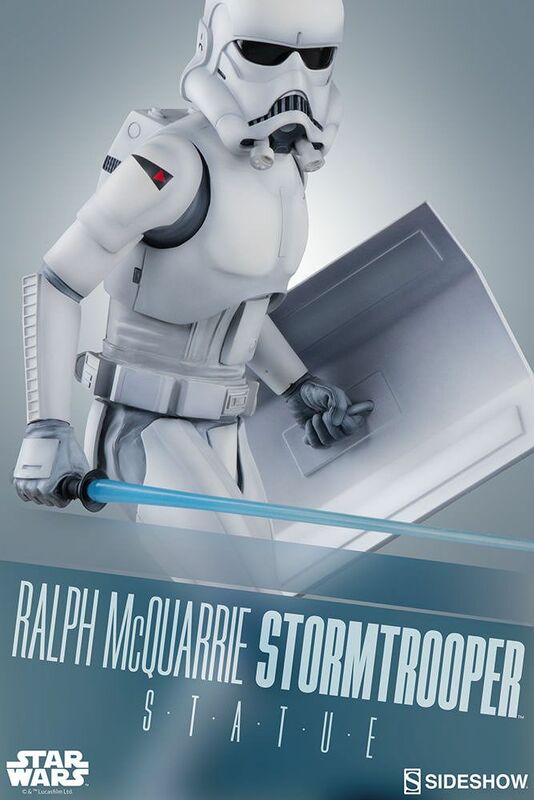 The first in our Ralph McQuarrie Concept Artist Series, the Stormtrooper will soon be joined by Boba Fett and the dark Lord of the Sith himself – Darth Vader.